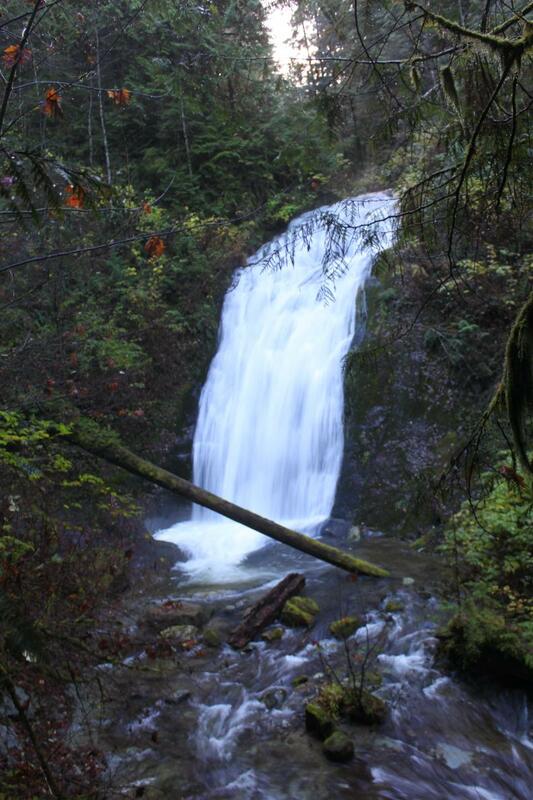 Turns out, the Austin Creek drainage in Sudden Valley near Bellingham is jammed full of waterfalls. Austin Creek falls is the best of the bunch. Here the main fork of Austin Creek horsetails down a 50' cliff face in a 20' wide wall of water before cascading another 15' in a lower tier. 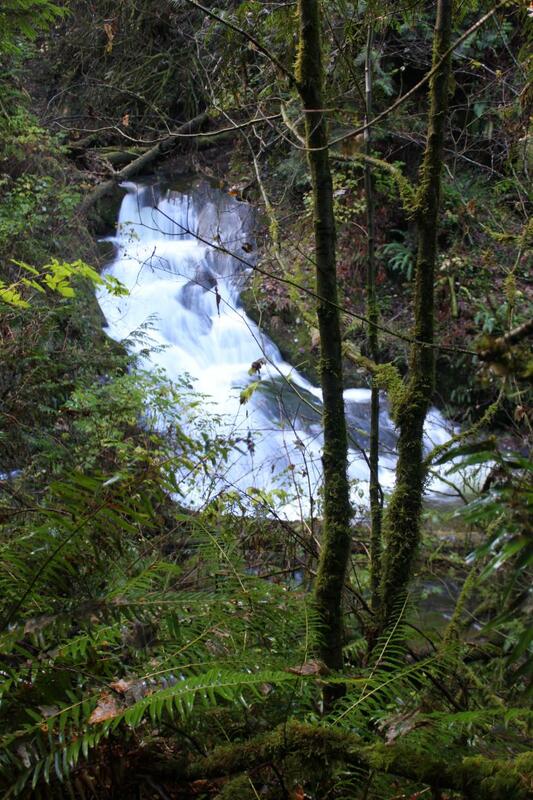 The falls are difficult to get to, but worth the effort when the creek is running high. During the summer, Austin Creek can get pretty small but probably never runs dry. Click here to see a video of the falls. DIRECTIONS - Follow the directions to Lower Austin Creek Falls. From the pullout, find a trail heading off directly opposite the road. The trail is in pretty decent shape for a little while until you come to a collapsed wooden staircase. Shortly after this the trail seems to end but if you look closely you can see a path head steeply uphill away from the creek. Continue upstream, following the obscure paths where you can. Shortly after the trail runs out you will pass Lower Trataka Falls. 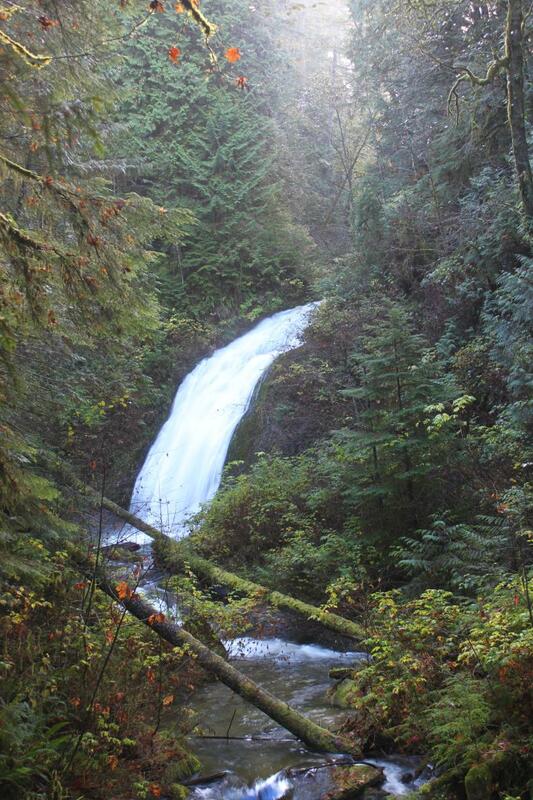 Austin Creek Falls is about 800' upstream from here but it's a tough go. Once you get there, the best view is from a narrow ridge directly above the lower tier.